STEP 3. Many men start yawning almost immediately when you bring up anything to do with the thyroid, but that really should not be the case. The thyroid is somewhat like the floor pedals (accelerator/brake) on your car, since the thyroid either slows down or speeds up hormones and metabolism. For example, low thyroid function (hypothyroidism) is associated with lower testosterone and elevated thyrooid function (hyperthyroidism) with increased testosterone. Now on this page I am going to concentrate on hypothyroidism for the simple reason that the symptoms are so common on the Peak Testosterone Forum. A very high percentage of men coming to the forum have the classic symptoms of low thyroid function such as fatigue, poor libido, depression and erectile dysfunction. (For more information on the latter, see my link on Erectile Dysfunction and the Thyroid.) From my perspective, it is almost an epidemic and I want to cover some of the basics below. 1. Decreased LH (Leutinizing Hormone). Researchers have found that hypothyroid men have a "subnormal response of luteinizing hormone (LH) to gonadotropin-releasing hormone (GnRH) administration." Of course, GnRH is produced by the hypothalamus, which then triggers LH. LH, in turn, stimulates the testes to produce testosterone. This means that hypothyrodism sabotages the first step in the testosterone production assembly line. 4. More Than Doubling Total Testosterone. Normally one will not get a huge boost in testosterone from fixing his hypothyroidism. However, huge gains are possible as evidence by a case study of one man with both severe hypothyroidism and hypogonadism. This individual was able to increase his total testosterone by 150% just my standard thyroid treatment. His testosterone was still pretty low - in the low 400's - but it was an impressive gain nonetheless. a) Assess Your Symptoms. Start by taking a quick look at these symptoms. Do any of them apply to you? Of course, these symptoms can have many other root causes. However, when you see that you have several of them, it could point to hypothyroidism. Also, notice that there are some symptoms that overlap with hypogonadism (low testosterone) and this can undoubtedly be partially explained by the fact that hypothyroidism can cause low testosterone as mentioned above. So how do you determine if you have low thyroid function? Well, this is where it gets interesting. At least here in the U.S., endocrinologists are more often than not extraordinarily conservative. As an example, they are the most reluctant to treat men for low testosterone. They do this by creating a very rigid definition of what constitues hypogonadism based on a very low testosterone threshold. It is no different with hypothyroidism. Again, from what I have seen, endocrinologists are very reluctant to treat men (and women) for hypothyroidism as well. Not all endocrinologists (and PCPs) are like this, but certainly a significant percentage. What has emerged from the discontent over this are alternative health protocols based on treating subclinical hypothyroidism. What is subclinical hypothyroidism? Basically, it refers to low thyroid function that responds to treatment even though it is technically not clinical hypothyroidsim by the "old school" definition. Many practitioners - "new school" endocrinologists, naturopaths, anti-aging doctors, etc. - have broadened their protocols for hypothyroidism and we will discuss how they do some of this monitoring and testing below. Did you know you can inexpensively do your own testing for most hormones? The industry leader is Discounted Labs..
1. TSH Between 3 and 5. TSH is the signaling hormone released from the pituitary that signals the thyroid to start producing more thyroid hormones. In some kinds of hypothyroidism (and in a manner analagous to rising LH in primary hypogonadism), TSH begins to rise. The old school definition was a TSH > 5.0 to define hypothyroidism. However, a recent study showed that this should be revised down to 3.0. (From what I have read, the "ideal" TSH is roughly between 1 and 2.) On a practical level, this means that many patients with a TSH between 3 and 5 would receive treatment from a different physician who was using the more recent, updated number. For a more detailed explanation, see this article. 2. Thyroid Antibodies. What many men do not know is that the most common form of hypothyroidism actually is autoimmune in nature and is called Hashimoto's Thyroiditis. Basically, the body's own immune system attacks the thyroid and slowly destroys it over the years. This can usually be identified by a couple of simple thyroid antibody tests. The two most critical tests are Thyroid Peroxidase Antibodies (TPOAb) Thyroglobulin Antibodies (TgAb). For thresholds see this Medscape article. 3. Elevated rT3 (Reverse T3). Most men know that the two primary thyroid hormones are T4 and T3. TSH actually triggers the production of these in the thyroid at a ratio of 17::1, i.e. 17 T4 molecules for every one T3 molecule. A significant amount of T4, however, is converted into T3 in various body tissues. And, to further complicate matters, the liver converts about 20% of your T4 into something called Reverse T3 (rT3). rT3 is part of the body's feedback mechanism, but in some people it becomes elevated. And, as its name implies, rT3 reverses normal thyroid function, i.e. can make you hypothyroid. Again, someone with fairly normal TSH numbers but high rT3 can experience hypothyroid symptoms. Fortunately, you can test rT3 and see if this a problem for you. 4. Free T3 and Free T4. The thyroid hormones are similar to testosterone and estradiol in the sense that they have a bound and unbound form. If you have low or lowish free T3 and/or free T4 values, this can indicate hypothyroidism. And it makes sense as it is showing a low output of hormones from the thyroid. 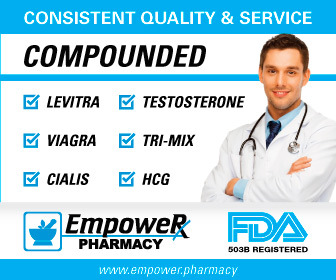 There are other tests as well, but these have been quite common on The Peak Testosterone Forum and seem to be in wide use. In my opinion, this is a good thing and I am sure many men have been helped by it. --Lower Stress. Excess cortisol actually inhibits the conversion of T4 to T3, and result in smaller amounts of T3 and larger amounts of rT3. In other words, stress and the elevated cortisol levels that often accompany it can literally turn you hypothryoid. Instead of going on thyroid hormones, why not eliminate the stress? I have many suggestions that I discuss in my Summary Page on Stress and Cortisol. --Dieting. If you cut your calores too much, you can make yourself hypothyroid. Your body compensates for the loss of calories by dropping T3 output, something I discuss in my link on Why Crash Dieting Just Does Not Work. So, if you're cutting calories and are hypothyroid, it may be that you will normalize after you restore baseline calorie levels. Discuss with your physician. --The Two I's: Inflammation and Infection. As mentioned, Hashimoto's is definitely an autoimmune disease which is usually a result of elevated inflammation levels. And, as discussed in this article, inflammation can also induce hypothyroidism in other key ways as well. The bottom line is that I think it would be prudent to check your CRP (C-Reactive Protein) levels and make sure they are less than 1.0 along with any other key markers. For more information on the subject, see my link on Natural Ways to Lower Inflammation. Keep in mind that latent infections can raise inflammation, including things like gum disease and Super Bugs. So get a thorough checkup and keep digging. 2. T4 Only or T3 Only or Both. One thing that will you notice with thyroid medications is that "it is more art than science." Basically, some patients do well on T4 only. Some do well on T3 only. And some do well on both. It sometimes takes some experimentation. 3. Dessicated Thyroid. Some patients do much beter with "dessicated thyroid" products which are basically dried pork and beef thyroids. These will have a combination of T3, T4 and rT3 along with a couple of other thyroid hormones. This wide range of hormones is considered by some to be more "natura" and probably accounts for the reason that dessicated thyroid works well in some patients and poorly in still others. 1) Thyroid, 2004, 14 Suppl 1:S17-25, "The interrelationships between thyroid dysfunction and hypogonadism in men and boys"
2) Horm Res, 1990, 34:215 218, "Reproductive Endocrine Functions in Men with Primary Hypothyroidism: Effect of Thyroxine Replacement"
3) Clinical Endocrinology, Feb 2000, 52(2):197 201, "Testicular dysfunction in men with primary hypothyroidism; reversal of hypogonadotrophic hypogonadism with replacement thyroxine"
4) Cleveland Clinic Journal of Medicine October 2012 vol. 79 10 717-725, "Male hypogonadism: More than just a low testosterone"